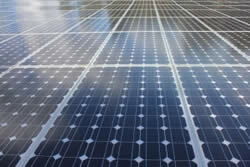 Solar power is essentially electricity generated from the energy contained within the suns rays. The below information provides a greater insight into solar energy and the ways in which we can use this energy. How Can We Use The Power of The Sun? The sun has been in existence for billions of years. Every day, the sun shines down on our earth, radiating it with varying levels of solar energy. This solar energy is commonly known as solar radiation and contains a significant amount of energy that we're able to harness in a number of ways. Once this solar energy is harnessed it can be used to provide a source of electricity or to partially heat a hot water supply. We use solar energy in many other less obvious ways during our day to day lives. Solar energy is a renewable energy source and will always be there until one day the sun burns out and life on earth can no longer be supported. If or when the sun ever runs out, it's likely that either our planet will have being long gone before that period or our planet would disappear with the sun. As long as the sun shines, life on our planet can be supported. How Can We Harness The Power of The Sun? We're able to harness the sun's rays to produce power for our homes and businesses. The sun's rays contain what are known as photons. These photons are capable of transforming electrons into conduction electrons and this type of electron can carry an electrical charge. Electrons are contained within the material used to construct solar panels so when solar rays with enough energy strike a solar panel, the electrons in the solar panel turn to conduction electrons and carry an electric charge. Power generated from solar energy is helping thousands of people in many parts of the world to live a more environmentally friendly and cost effective lifestyle. A solar electricity kit is a perfect means of harnessing significant levels of solar energy in remote locations.